Please book berorehand. 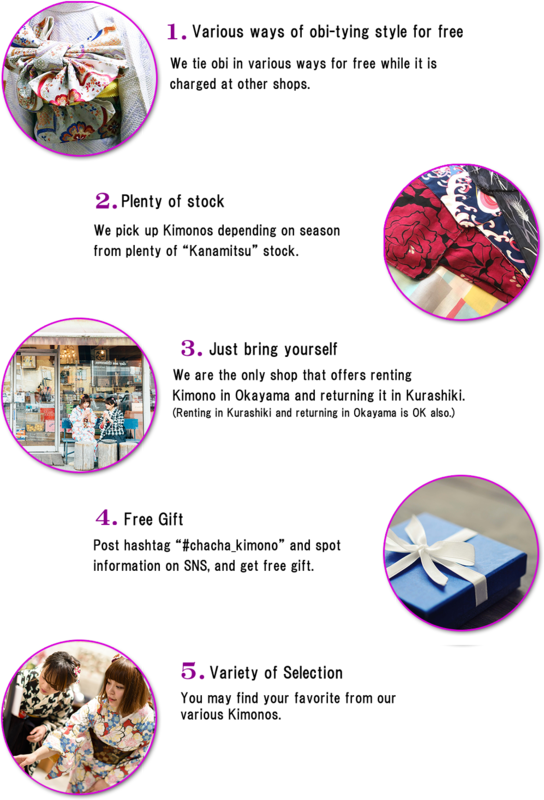 We have 2 shops you are able to choose from Okayama and Kurashiki. Click here for how to rental. Fees are easily comprehensive. Click here to see why people choose us and what our goal is. Some people would think Kimono is little difficult, but we hope you to enjoy it casually! *Only available if the shop is open next day. 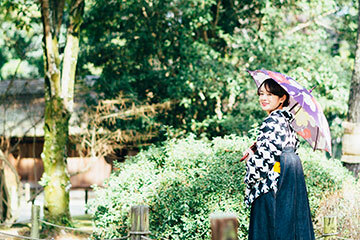 Wear Kimono and feel differently to enjoy shopping, sightseeing, and yuor daily life. Kimono change your daily xxxxxx. 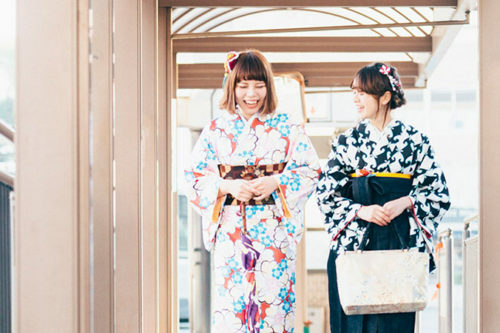 Kimono Rental "CHACHA" would suggests you the new style of Kimono.